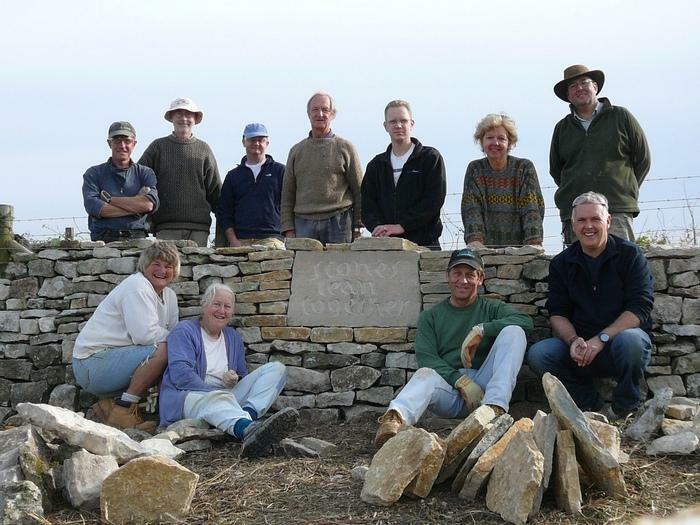 Welcome to the Dorset branch of the Dry Stone Walling Association (DSWA) – If you would like to understand how to build a drystone, why not join a course, and then if you want to continue learning this skill become a member. 4th and 5th May 2019 in Purbeck near Swanage. Please contact us if your interested. Gift vouchers are available and make an ideal present . Please click on Events tab or contact us for details of other course dates. The Dorset Branch is a branch of the national DSWA. Our aim is to encourage interest in the repair and preservation of dry stone walls. We run many courses and events throughout the year including beginners’ courses, demonstrations at shows, members’ practice weekends and exams. If you want to learn more, to take part in one of our courses or exams, or if you are a professional dry stone waller, we have something in our program to suit you. We welcome people of all abilities and are keen for you to come and see for yourself why it appeals to so many, the reward of seeing a job well done – and what fun it can be! Our next event? Who to contact? courses? More about walling & photos? Please click on the relevant tab at the top of the page.